“This is why the Father loves me, because I lay down my life in order to take it back again. God gave Jesus the command to lay his life down and take it up again. This command is both responsibility and authority. When God gives responsibility, He also gives authority so the command can be achieved. “For this reason a man will leave his father and mother and will be joined to his wife, and the two will become one flesh. This mystery is great – but I am actually speaking with reference to Christ and the church. God gives the command–responsibility and authority–for husbands and wives to leave and cleave—becoming one, and for husbands to love their wives and wives to respect their husbands. The corrupt flesh, the world, and the enemy are not going to help. Selfishness, pride, lust, idolatry, and those who steal, kill, and destroy do not help your marriage. They will attack your responsibility and/or authority to leave-and-cleave and/or to love-and-respect. Focus on God as your source and example who defines your responsibilities and provides the authority to achieve oneness, love, and respect. And–metaphorically–cut off at the knees anything that gets in the way of holy and righteous oneness, love, and respect! Leave it in your wake to die so you can live at a higher level! Because the better we do in marriage the more we will understand the relationship between Father God, Jesus, and the Church–His Bride. Jesus lived and laid His life down to rescue us, and rose again to prepare a place for us, fulfilling the Father’s command. We are going to spend eternity with the Father and Jesus (and the Holy Spirit), doing and enjoying the things He has planned. Yes, relationships with others may have to suffer and even die in order for your marriage to achieve oneness, love, and respect. God knows–read Matthew 10. This life is going to have challenges in relationships. Your boundaries need fixing and maintaining. If you cannot do it for your marriage, you will not be able to do it for your relationship with God. Are you letting others get in the way of God’s best for your marriage? If so, stop it! Fix and maintain good boundaries! Are you living God’s command for oneness, love, and respect in your marriage? Make progress so tomorrow can and will be better than today. .
My last post was on Reality according to 1 Peter, the reality we need to recognize, accept, and align with in order to model Christ and the Bride. Pilgrim: The Greek means “in reference to heaven as the native country, one who sojourns on earth.” You are traveling here for a while, heaven being your home, so as a visitor you do not follow all the cultural norms and expectations of the region. Jesus is from heaven and the Bride’s real home is heaven, so live from heaven’s perspective. Of the Dispersion: This refers to the group dispersed from Israel over the world due to religious persecution, where they then shared the gospel and made disciples. It can figuratively apply to us as visitors of our lands while on a mission for the kingdom of God: sharing the good news and making disciples. Elect: Meaning chosen according to the foreknowledge of God the Father. He thought of you beforehand, wanted you as His child, so He created you. You are a desired and planned child of Father God! Be in relationship with Him as His child! Sanctified: Meaning to make holy by setting apart and purifying. God enables you to obey Him by making you holy through the Holy Spirit setting you apart and purifying you. Obedience: Jesus said, “If you love Me, keep My commandments” (John 14:15). You are one who obeys Him out of love. Do you, Bride, love Jesus? Are you ever lovesick for Him? Does your love make you willing to do anything for Him? Do you do anything for Him? Sprinkling of the blood of Jesus: Here we have the fundamental aspect of our identity. In the prior covenant removal of sin was obtained by animal sacrifice and God confirmed the covenant with the Hebrews by having Moses sprinkle blood on the alter and people (Exodus 24). In the new covenant Jesus is the sacrifice and High Priest who sprinkled His own blood on the alter in heaven and on each of us to remove our sin and confirm the covenant between us and God (Hebrews). Husband, are you in covenant with God? Wife, are you in covenant with God? How wonderful! You, desired and planned by Father God, have a covenant with God through Jesus taking away your sin so you may spend eternity with Him, therefore you are set apart and being purified by Holy Spirit both in preparation for eternity and so you may pour out His love to others here and now. You are called to receive mercy bringing you into light, into your true identity, purpose, and unity as holy royalty, made to proclaim God’s praises. Who else but you would have grace flowing in your heart and peace being multiplied within! Combine the 1 Peter Reality with the Identity and we begin to see a whole new viewpoint on the husband-and-wife verses in 1 Peter 3:1-7. Just the first two verses–“Wives, likewise, be submissive to your own husbands, that even if some do not obey the word, they, without a word, may be won by the conduct of their wives, when they observe your chaste conduct accompanied by [respect]”–become mere details of explanation of how to live out Reality and Identity, how to model Christ and the Bride and thereby achieve the best marriage ever! Instead of lording authority over each other, husbands and wives are to live lives devoted to God, knowing who you are in God, and from that foundation of Reality-plus-Identity serve each other, seeking to benefit each other to strengthen your one-flesh-team! Just as Christ and the Bride will. Have you ever wondered what the ultimate marriage looks like? I was raised by good parents who had one of the best marriages I have ever seen. But not perfect. To know what the perfect marriage looks like we have to find a perfect man. There has only ever been one perfect man: Jesus Christ. I hear someone say, “But Jesus did not marry.” But He will as Revelation 19:7-9 foretells Jesus’ wedding as the marriage supper of the Lamb. Jesus is going to get married. Jesus is going to be the perfect husband–already is as He faithfully and patiently waits for the Bride while Holy Spirit prepares her for Him. Jesus is going to have the perfect marriage. Even though it is in the future, we can look at what the Bible tells us of this concept and model Jesus’ marriage in our own marriages. 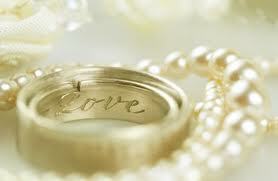 By modeling Jesus’ marriage we will have incredible marriages and will be assisting Holy Spirit to prepare the Bride. Quick note: there is controversy as to who the Bride is. I believe the Bible identifies the Bride as the Church. I read an article asking, after examining a lot of verses, whether the Bride is only part of the Church—those who are truly seeking God with all they have, who are in fact following the first and second greatest commandments. I do not have the final answer or the final say, that’s God’s job. If He wanted it to be clearer in the Bible He could have made it clearer. Perhaps it is not absolutely clear just so people will seek God harder. But we do not have to know the exact identity of the Bride in order to pursue the concept of modeling Christ and the Bride. What does it mean to model Christ and the Bride? 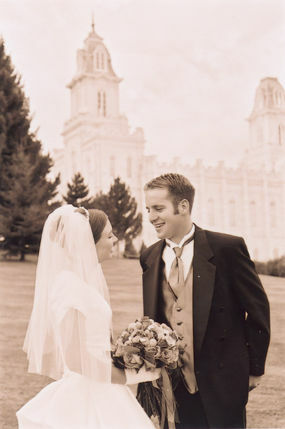 What concepts are encompassed in this phrase “modeling Christ and the Bride”? With Jesus’ wedding as one of the last events on the Bible’s timeline, I believe the concept of modeling Christ and the Bride encompasses the culmination of the Bible’s entire teaching of who God is, who we are in Christ, what the end goal is, and therefore how we should live to contribute our part of the end goal. In order to accurately model Christ and the Bride in our marriages here and now we must experientially know God, be healed and whole men and women, have at least a basic understanding of God’s goals, and be working to fulfill God’s goals. This is obviously a huge topic. Posts on this topic are coming! What does the marriage of the Lamb (Jesus) with the Bride (those whose names are written in the Book of Life) mean for eternity? I believe God has given us the concept and training ground of marriage to teach us just that. I am puzzled as to what the Bride’s marriage to Jesus for eternity means physically. But I am not puzzled in the areas of spirit and soul. Our relationship with our spouse in spirit and soul, with sin eliminated and true holiness increased, is the same mode and content as our relationship with Jesus. The best relationship skills we learn in earthly marriage with our spouse have direct application to the coming eternal marriage with Jesus. Here is what I mean: In spirit and soul, in the midst of loving, intimate vulnerability the Bride surrenders to the Groom’s ministrations which produce joy and delight at times building to ecstasy, and in the right times the Groom plants the seed of a new work in the Bride. The fruit of the commitment to live together as one and of loving intimacy, this new work, grows and changes the Bride and Groom’s life. Anticipation of what the new work will be like produces wonderful changes. When the new work has gestated long enough it is brought forth which is itself an amazing process which ends in extreme, deep joy! Bride and Groom nurture this new work, pouring themselves into it, reveling in the joy of the journey with all the new developments. This is the spirit and soul of marriage. The physical pictures this description bring to mind merely shows how the spirit, soul, and physical are intertwined. So what can we learn about eternity from marriage? It is good! It is the epitome of what you are practicing now: getting to know Jesus, eliminating sin, and increasing in true holiness. Unless of course you are not getting to know Jesus, are not eliminating sin, are not increasing true holiness, then eternity will be the epitome of what you are practicing in your marriage now: eternal suffering in the lake of fire. How are you improving your marriage? How are you eliminating sin? How are you increasing in true holiness? How are you preparing for eternity with Jesus? Or are you? "Speak the truth in love. Pursue wisdom and pour it into others. Life is all about relationships, not money or toys. Communicate effectively to enhance your relationships and build others up." These concepts have driven me, a devoted husband and father of two, to analyzing who I am and what I do, and how I can help people. A big, untold story: Since last Yom Kippur, millions of Jews have begun searching for the Messiah, and for atonement for their sins. The media isn’t reporting this. But it’s worth examining. How Does God Grow You? Is Your Love Like Peter’s or Jesus’?